Alex Baca states in his Kickstarter campaign that the iPadSmartCover gets in the way when he’s using his iPad; hanging limply on the back side of the device. Also, the iPad can tend to get slippery and hard to grasp. Dropping a freshly bought iPad and watching as it smashes into the ground is an event anyone would want to avoid, especially considering the cost of some these iPads. It’s these reasons that brought Baca to design the MagBak. The MagBak’s design consists of two silicone strips attached to the back of the iPad. The strips are incredibly thin enough to not be a hindrance to closing the SmartCover or to the iPad user if they do not have a SmartCover, but thick enough to raise the iPad off of a surface enough to protect the backside. These strips provide excellent grip for carrying your iPad around. Inside the strips are 16 M52 magnets. These magnets will snap the SmartCover into place on the back of the iPad, making sure it is out of the way. These magnets also turn the MagBak into a sturdy mount for most metal surfaces. 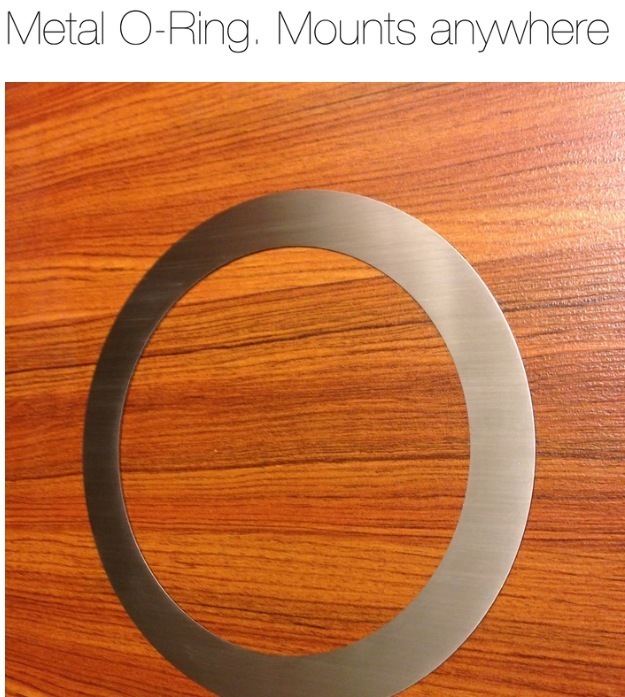 It doesn’t matter if you don’t have many metal surfaces in the house, either. The MagBak comes with an O-ring which can be attached to any surface and designed specifically so that the MagBak can be attached to it. Right now, the MagBak is still a Kickstarter campaign. However, this campaign has reached double the asking price in under a week. By pledging about $30 to the campaign, the MagBak grip/mount can be yours.